Coworking space with on-site childcare. Grow your business alongside other entrepreneurs and maintain that work life balance. Our collaborative office with Pressed Bar & Event Center is located in the heart of The District! This location boasts stunning views and patio space that will leave you feeling like a CEO with a corner office. This location is open M-F, 8AM-4PM . Learn more about the memberships available at this location below! Looking for hourly private office reservations? Team meeting space? Got it! Sign in. Sit down. Get to work. It's really that easy! 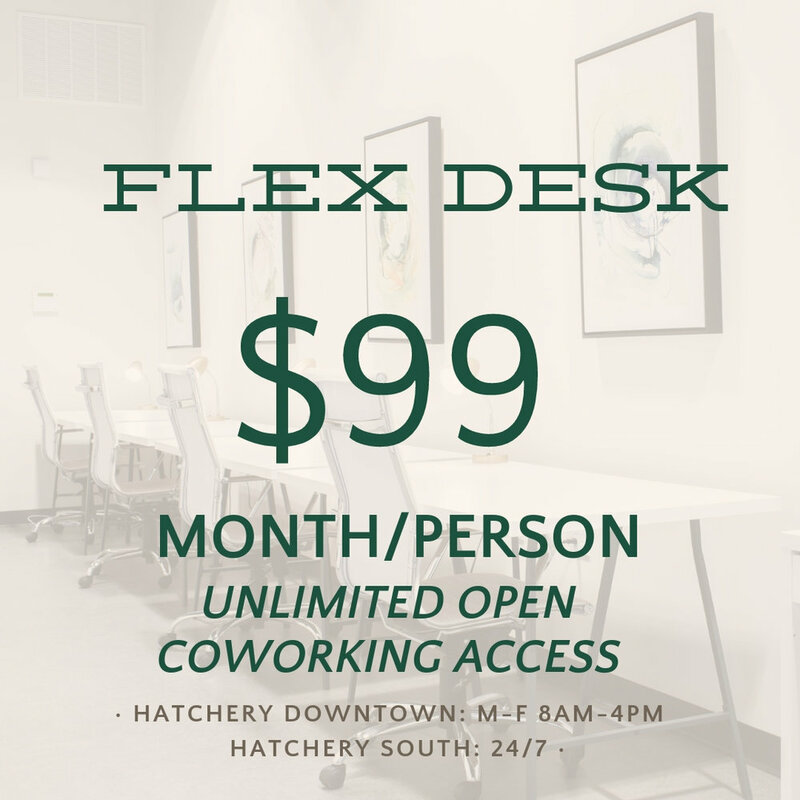 With a coworking membership at The Hatchery, you get access to a professional space where you can focus on your tasks, hold client meetings, join video calls, make copies, and get work done. Flexible month-to-month membership options mean you can pick the membership that works best for your schedule. Members can also look forward to exclusive discounts at local businesses including gyms, salons, coffee shops, and more! Learn more here. Bonus: Save 5% on any coworking membership when you sign up for a full year. Click here for a flyer that includes all of these details. 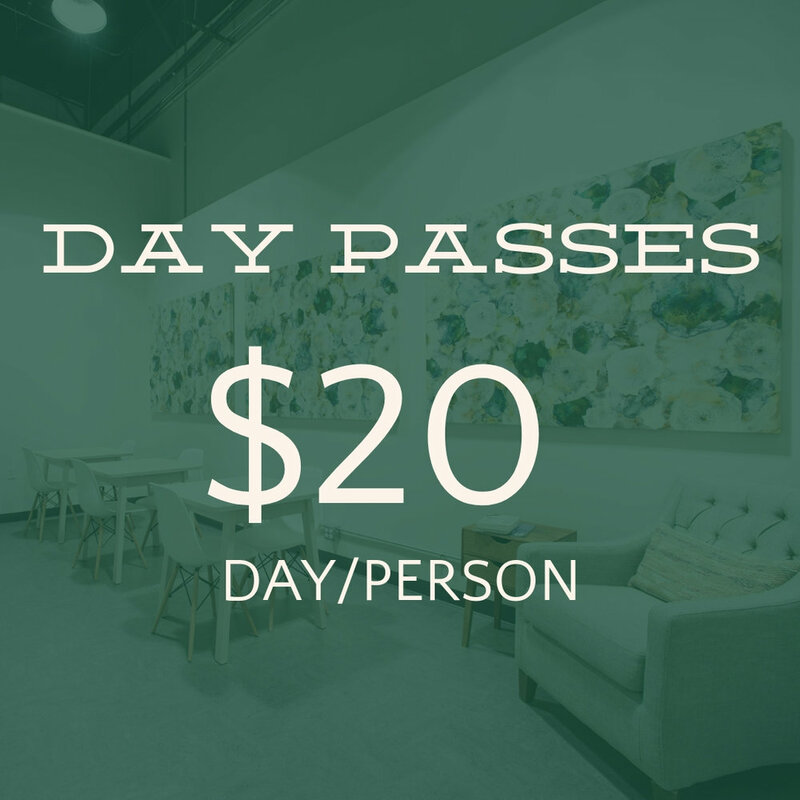 Any current member that refers another person who is approved for a membership will receive a discount off their next month coworking membership!